Leather Wallets or Organizers Sale! Get up to $15 off RFID Leather Travel Wallets & Organizers. Get over 20% off Collapsible Hardside Luggage Sale. Get Up to 85% off Select Travel Apparels for Women. Deeply Discounted Products for One Week Only! New offer each Wednesday. Save up to 40% on select StowAways Packing Organizers. For a Limited Time, Save 69% on the Men’s Voyager Jacket. Valid while supplies last. Get up to 20% off Magellan’s Luggage. Outlet Sale! 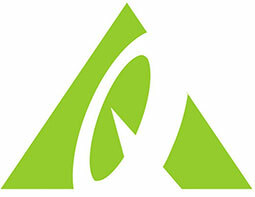 Save up to 60% on travel clothing, supplies and more. End of the year clearance! Get up to 60% off travel apparel and gear items. Limited Time Sale! Get over 20% off Vaultpro RFID Travel Bags. Black Friday Sale! Get Up to 20% off all orders over $135. No code required. Get 46% off Chenille Footsies. Take Up to 60% off select VaultPro handbags. Get 28% off 4-in-1 World Travel Adapter. Save $25 on purchase of $250+. 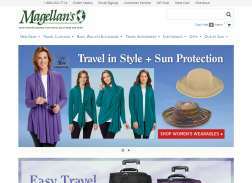 Shop The Most Popular Items at Magellan’s and Find Discounts on Select Products. Get 15% off all orders over $95 for Columbus Day. No code required by clicking this link! Get up to $75 Off select VaultPro Security Bags.